Home » Entertainment » Portable North Pole – Custom Video Messages From Santa! Save 20%! 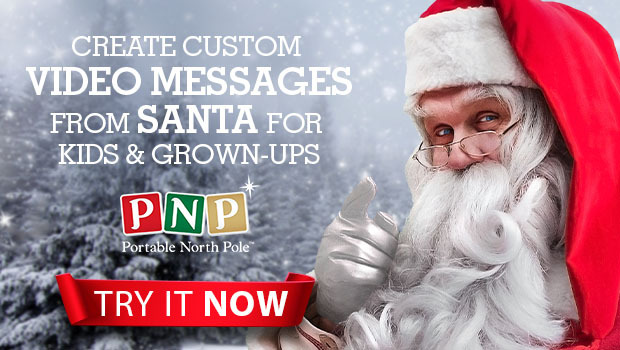 Portable North Pole – Custom Video Messages From Santa! Save 20%! Every year, my kids eagerly anticipate watching their special videos from Santa. They can’t wait to see what Santa has to say to them, see the pictures he’ll show of them, and find out what silly antics his elves are up to. They love it! And, I have a sneaking suspicion that your kids will too. 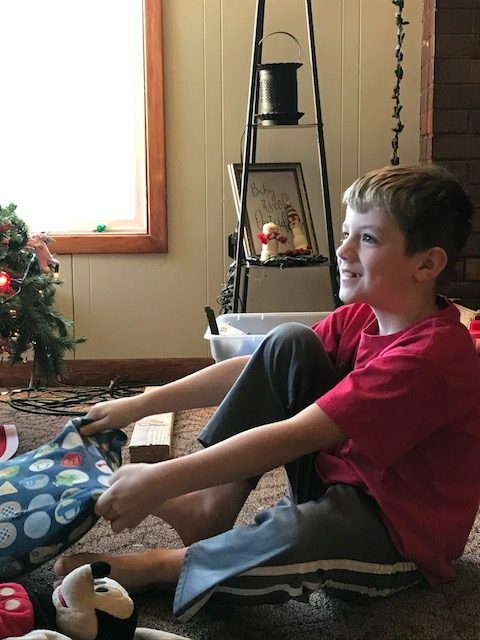 PNP (Portable North Pole) offers a free video for every child with a new option to purchase a single premium video ($4.99) or upgrade to a premium package, including the Video Pass ($9.99) or Magic Pass ($13.99). Both packages provide six enchanting video storylines to choose from, with each offering five or more minutes of footage to watch, from exploring Santa’s workshop to the amazing gift-wrapping machine, as well as the Reaction Recorder (available on mobile app only). While all of the videos at PNP are customizable, when you purchase the Video Pass or the Magic Pass, you are able to add multiple pictures and details about your child – really adding to the magic. 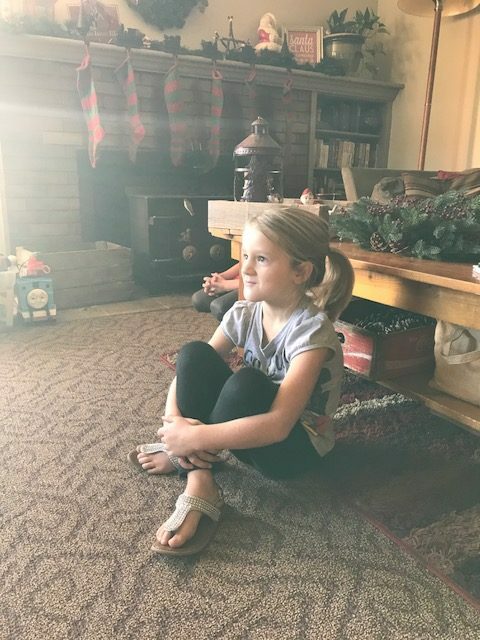 There is nothing quite like watching your child’s face light up as they see Santa talk to them about their vacation, accomplishments, sports, etc. In addition, you can create an unlimited number of videos, and receive a special “Santa’s Coming” video to watch on Christmas Eve. Plus, the Magic Pass includes HD video downloads and five weekly bedtime videos read by Santa leading up to the big day. 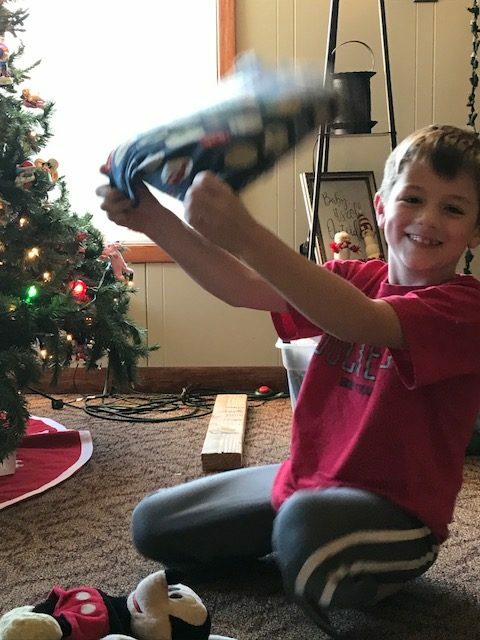 I hope you’ll consider checking out the Portable North Pole and adding a little bit of Christmas magic to your holiday season. You can always create a free video, but I highly recommend getting the Video Pass or the Magic Pass. I even have a money-saving offer for you!